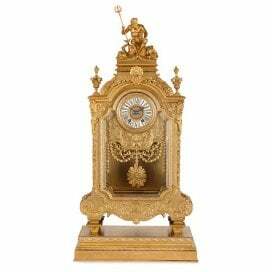 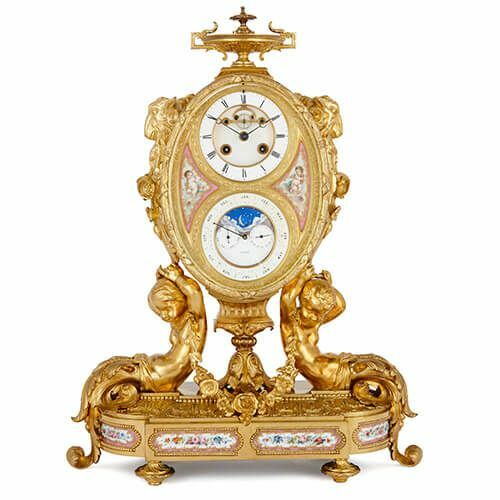 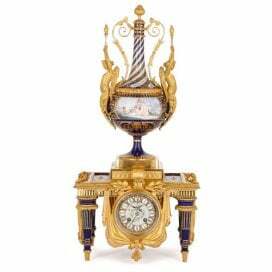 This unusual mantel clock is a stunning example of innovative 19th Century design, and was possibly completed by famed clockmaking firm Charles Oudin. 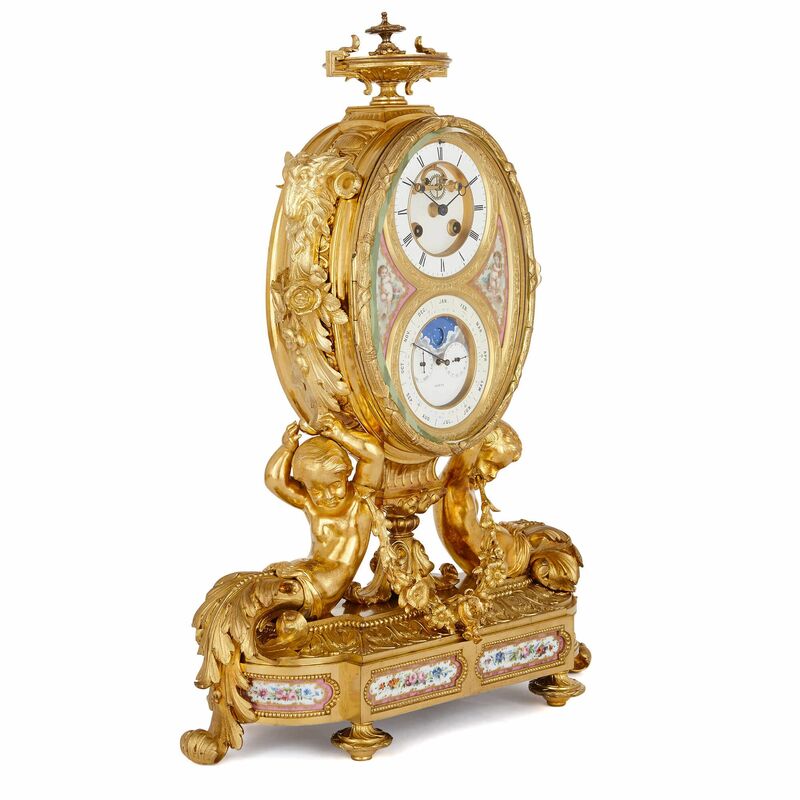 This complex, technologically sophisticated clock is a stunning piece of design with a strikingly up-to-date feel. 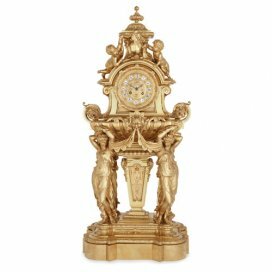 It is modelled as a stylish oval shaped clock ormolu clock dial supported by two exceptionally-cast cherubs on an oval shaped base, and will make a glamorous addition to an antique or modern mantelpiece. 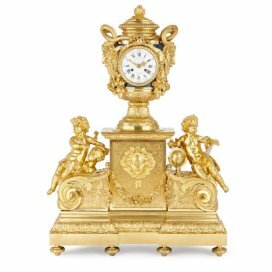 The similarity of this unusual clock to this clock set by Charles Oudin, means that the design of the present piece can also be attributed to Charles Oudin (founded 1797), one of Paris's foremost luxury clockmaking firms in the 19th Century. 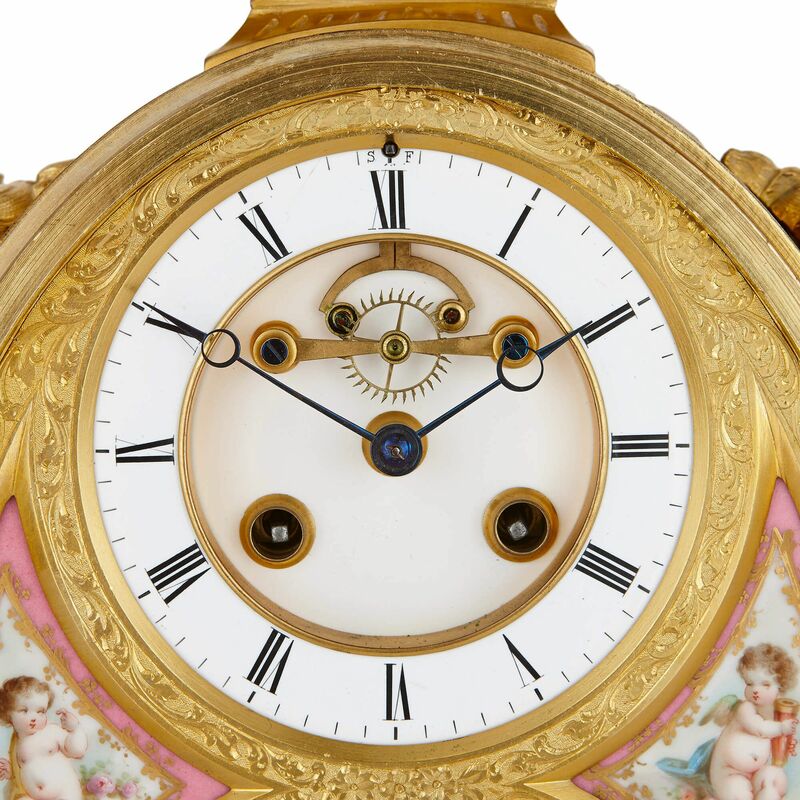 The oval clock dial is a complex piece of design, displaying both a clock dial and a calendar dial, with shaped painted Sevres style porcelain plaques of putti joining them. 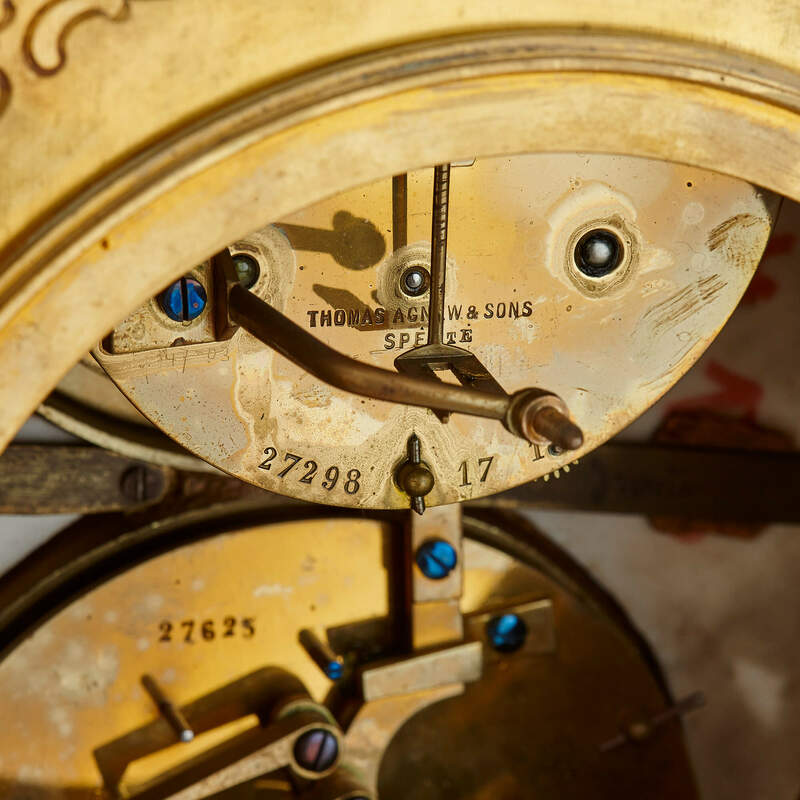 The calendar dial is formed as an outer month dial with two inner dials showing the days of the week and the dates of the month. 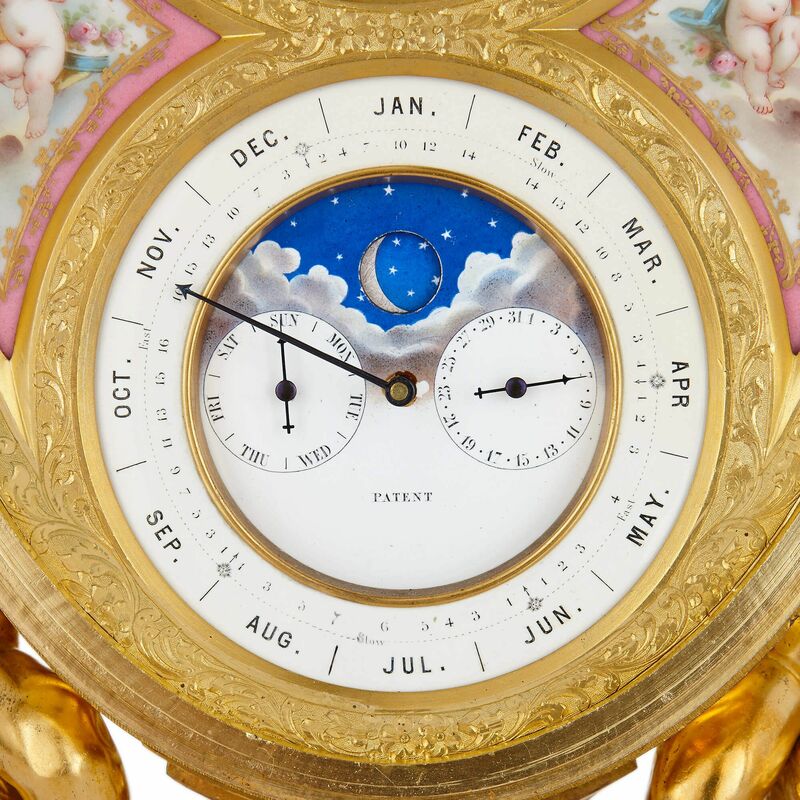 Astronomical signs and the phases of the moon are also displayed in the centre of this dial. The clock dial is decorated around its edges with ormolu floral vines and bucrania, and is surmounted by a Classical style vase. 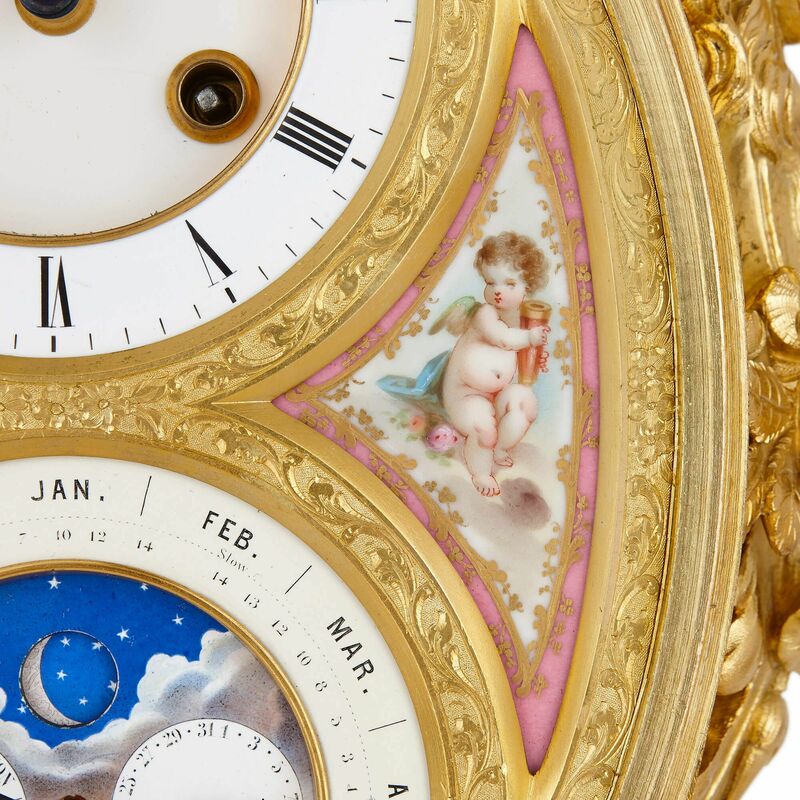 Below, the base is decorated with putti and a floral garland, and set with Sevres style floral porcelain panels on pink ground around its edges. 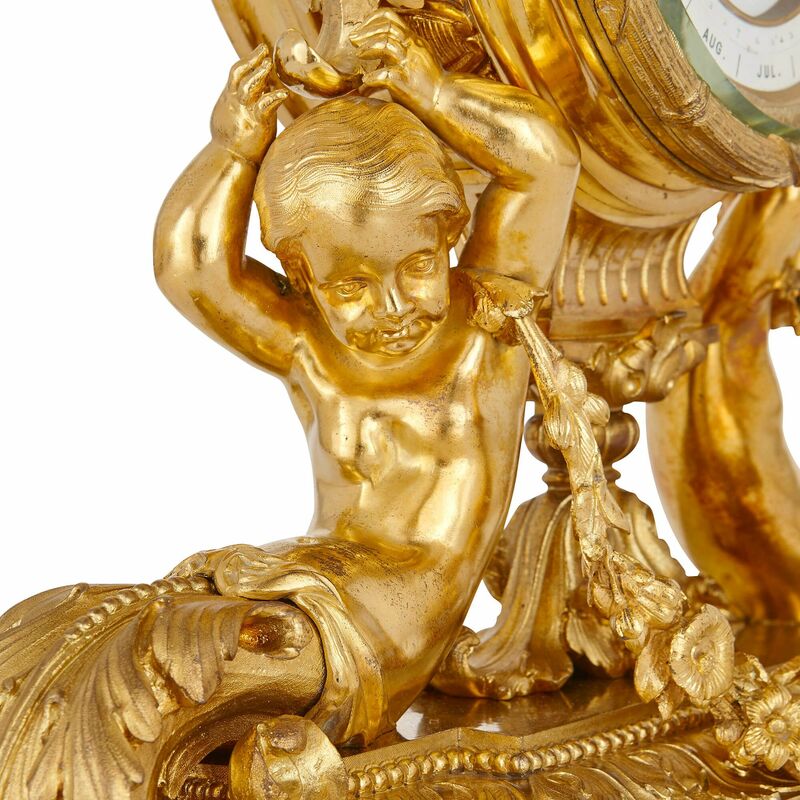 The clock movement bears a stamp for the London art dealer 'Thomas Agnew & Sons / Specte 27298', probably the original retailer of the piece.